I am T. Bouton Jones -- a professional web designer, XHTML hand coder, and ColdFusion developer based in the San Antonio, Texas (USA) area --- and this is my web site. I created this site to displays my skills and knowledge as a Web Designer and Web Developer. I am currently employed and not looking for further employment. Public Portfolio: Examples of my web design, ColdFusion development, and writing. 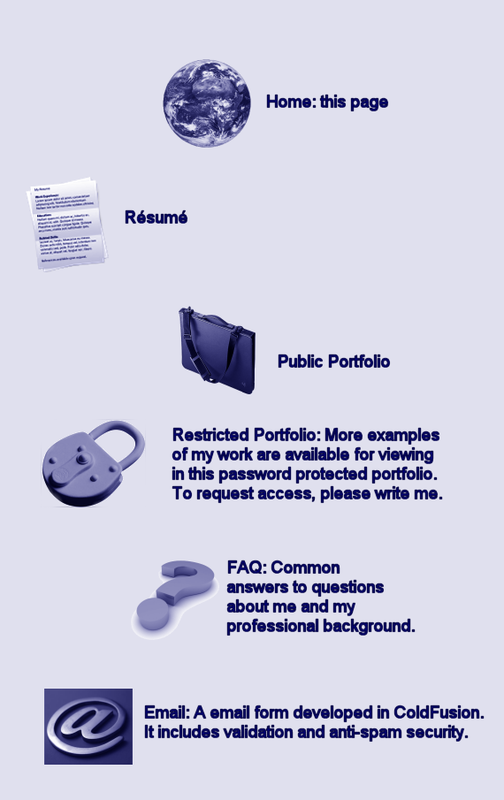 Restricted Portfolio: More examples of my work are available for viewing in this password protected portfolio. To request access, please write me. Email: A email form with error checking developed in ColdFusion.